After announcing his arrival on the music scene in 2011 with his first album, Ed Sheeran has never looked back and his stock keeps rising year on year. Sheeran’s first album ‘+’ (Plus) was a major success; it was certified seven-times platinum in the UK. Firmly focused on maintaining this early success, Sheeran released his second album ‘x’ (Multiply) in 2014. His latest album is from 2017 titled Divide. 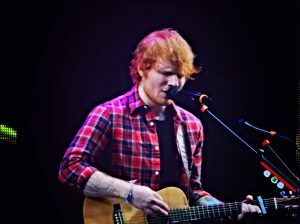 To date, Ed Sheeran has sold more than 26 million albums making him one of the world’s best selling artists and one of UK’s most famous musicians. Ranked as the second most successful group in the Billboard Hot 100 Chart of all time, The Rolling Stones English rock group also ranks as one of the most famous musical outfits from the UK. Having released their first production in 1962, the group is still going strong; the group released its latest studio album in 2016. Of the founding member, Mick jagger seems to have been the one to maintain a better success level. Regarded as the queen of British popular music but also producing country music, Adele is one of the most famous musicians in the UK right now. Adele born Adele Laurie Blue Adkins has won several Grammy Awards including Best New Artist and Best Female Pop Vocal Performance.